Please join us on one of the dates below for the screening two groundbreaking documentaries, MAKERS: Women Who Make America and Miss Representation, followed by a brief discussion on each portion of the film. MAKERS: Women Who Make America tells the remarkable story of the most sweeping social revolution in America, as women have asserted their rights to a full and fair share of political power, economic opportunity, and personal autonomy. It’s a revolution that has unfolded in public and private, in courts and Congress, in the boardroom and the bedroom, changing not only what the world expects from women, but what women expect from themselves. MAKERS brings this story to life with priceless archival treasures and poignant, often funny interviews with those who led the fight, those who opposed it, and those first generations to benefit from its success. Trailblazing women like Hillary Rodham Clinton, Ellen DeGeneres and Oprah Winfrey share their memories, as do countless women who challenged the status quo in industries from coal-mining to medicine. MAKERS captures with music, humor, and the voices of the women who lived through these turbulent times the dizzying joy, aching frustration and ultimate triumph of a movement that turned America upside-down. 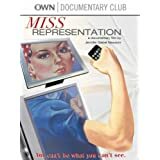 Miss Representation” Uncovers a glaring reality we live with every day but fail to see. Written and directed by Jennifer Siebel Newsom, the film exposes how mainstream media contribute to the under-representation of women in positions of power and influence in America. The film challenges the media’s limited and often disparaging portrayals of women and girls, which make it difficult for women to achieve leadership positions and for the average woman to feel powerful herself. In a society where media is the most persuasive force shaping cultural norms, the collective message that our young women and men overwhelmingly receive is that a woman’s value and power lie in her youth, beauty, and sexuality, and not in her capacity as a leader. While women have made great strides in leadership over the past few decades, the United States is still 90th in the world for women in national legislatures, women hold only 3% of clout positions in mainstream media, and 65% of women and girls have disordered eating behaviors. · Under Employee Training and Campus Workshop Series, select the date and register. Bring your lunch. Drinks, chips and dessert will be provided. These sessions are sponsored by the Post Learning Commons & Drexel Library, the Gender Studies Program, Organizational Learning & Leadership and the Women’s Networking Group. The Francis A. Drexel Library and the Learning Resource Center are happy to welcome back dogs from Therapy Dogs International for a day of de-stressing! Take a break and sit with one of these delightful dogs. For more information take a look at the Therapy Dogs International Informational Video. Happy Birthday Post Learning Commons! Isn’t it hard to believe it’s been a year since the John and Maryanne Hennings Post Learning Commons opened its doors? The Post Learning Commons has become such an integral part of campus life that it seems like it’s been here all along. 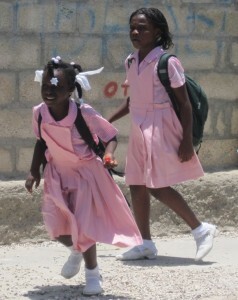 And most importantly, our students have made this special place their own. To celebrate this milestone for the University, please join us for Birthday Cake on Thursday, April 4, 2013 at 1 p.m. in the atrium of John R. Post ’60 Academic Center. 2/22 Book Talk: Dr. Sally Kuykendall's "Bullying"
$10.00 buys a hot dog with all the fixins’, chips and a drink. 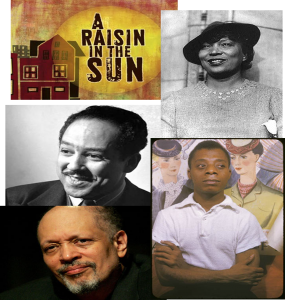 African American author, poet, playwright, musician, essayist or historian. Are you ready? Take a break from finals with some of our events during Finals week. Research indicates that petting a dog lowers stress levels. The Post Academic Center and the Learning Resource Center are hosting a group of dogs from Therapy Dogs International. The organization provides animal therapy to hospitals, libraries and several other locations. Release some stress and pet a puppy!